Tata Tiago, the entry level hatchback from the Indian automobile manufacturer has been revealed as a part of HorizonNext campaign. The Tiago hatch has a more mature look which no doubt is expected to give a tough competition to its rivals. Overall creases look strong, Rear is totally different yet sporty with an angular front profile. 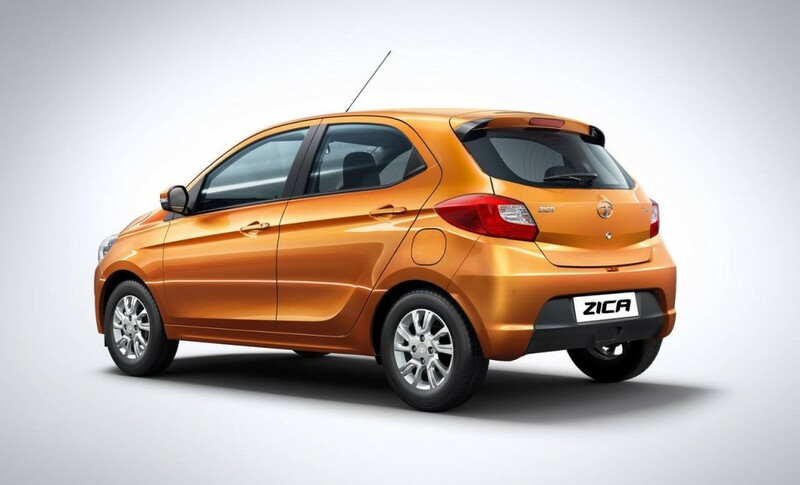 Tata Zica is likely to be launched during the Auto Expo 2016. Up front the Tiago is adorned with Tata’s signature honeycomb grille (similar to other products launched recently, Zest & Bolt). Chrome underlining the honeycomb grille runs all the way into the inverted smoked headlamps (Definitely looks good!). Front fog enclosure also gets a touch of chrome. A strong character line (Quite similar to the Zest) runs from the A pillar and blends into the wrap around tail lamps. The rear profile is all new, the Christmas tree tail lamps are left in the grave and the petal shaped wrap around tail lamps look quite brilliant. In low light conditions the rear profile can easily be mistaken for a Grand i10 or Figo. 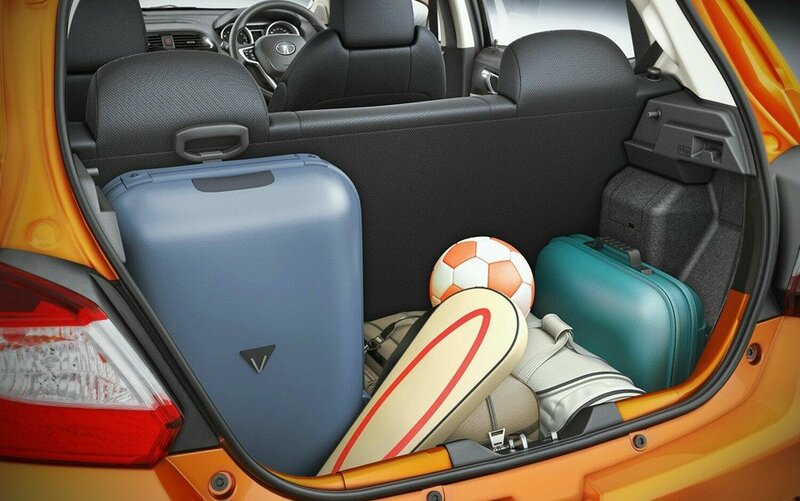 The integrated rear spoiler gives the Tata Tiago a sporty touch. Tata’s design team has judiciously used black, considering the blacked out B pillars, black touch on the lower half of the rear bumper and even small touches to the rear integrated spoiler. 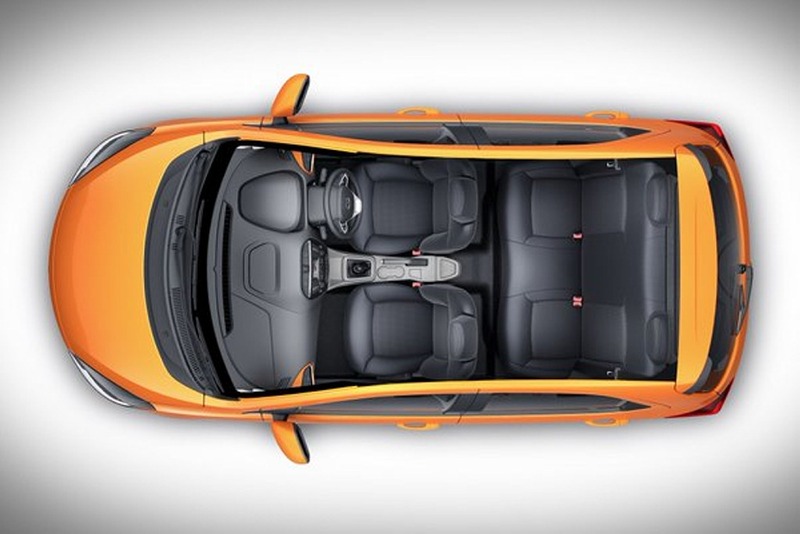 On the inside the Tata Tiago is adorned with a dual tone – black & grey dashboard layout with a sporty three spoke steering wheel equipped with audio controls. A ConnectNext infotainment system powered by Harman with 4 speakers & 4 tweeters will surely keep the passengers humming. Well the infotainment system is also equipped to offer seamless smartphone integration (Similar to Ford Sync infotainment system) with its – Navigation and Juke app. The AC vents (Left & Right) for the top end variant has the option to customize the color pallets. 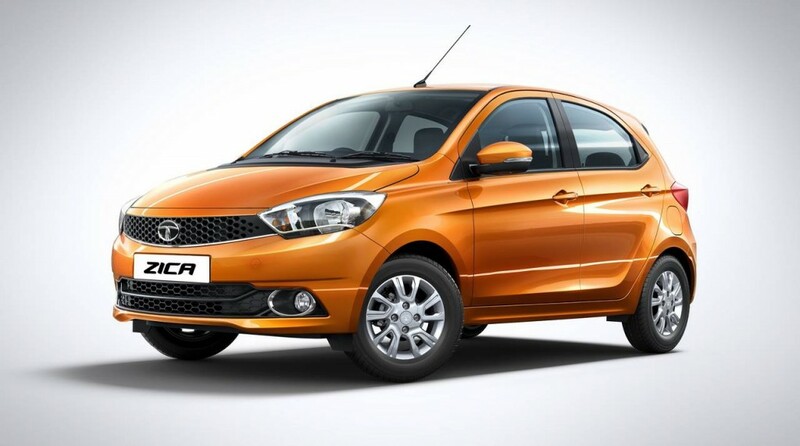 Tata Tiago comes equipped with a number of safety features such as Dual Front Airbags, 9th Generation ABS (Anti Lock Braking System) with EBD (Electronic Brake Distribution) and Corner Stability Control and Reverse Parking sensors with Energy Absorbing Body structure.